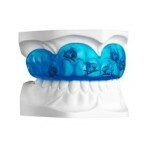 Wearing a mouth guard will significantly reduce the risk of injury to your lips, teeth and jaws. Mouth-guards will protect your teeth when you are playing contact sports eg rugby or boxing, or sports with moving objects, eg hockey sticks or cricket balls, or just sports, eg skate boarding, ice skating. Rob can custom make Sheu mouth guards. The high-quality material they are made from will absorb the force of impacts and is very elastic while still being very light weight and being custom made from a mold of your teeth ensures a higher degree of protection. And don’t worry about the mouth guard clashing with the colour of your outfit, Sheu mouth guards come in a variety of colours and patterns :). If you would like a mouth-guard please come in and see Rob. He will take an impression and can generally have the guard made within 3-5 days. Wisdom teeth erupt at the back of the mouth usually in late teenage years. The mouth is often too small to accommodate them. Wisdom teeth thus frequently cause overcrowding. This may result in orthodontic problems, (the way teeth fit together), or damage to/ pressure on neighbouring teeth. The teeth can become impacted ie growing at an awkward angle and unable to erupt properly. They can be a constant cause of infection eg when the gum repeatedly grows back over the partially erupted tooth, trapping food under it. Cysts and tumours may also result. When wisdom teeth cause problems they are usually removed. It is also often better to have them extracted early if there is a high probability of future problems, as the younger the patient the lower the incidence of complications. The surgical removal of wisdom teeth may result in more discomfort than normally experienced by routine extractions. Prior to extraction a careful assessment with radiographs is made. In most cases Rob will extract the teeth . He has participated in several courses specifically for this, in Birmingham, England and will try to make wisdom tooth removal free from anxiety and discomfort. Some insurance companies now allow dentists to carry out surgical wisdom tooth removal, so patients can benefit from the procedure being carried out in the comfort of familiar surroundings. Please approach us at the dental surgery if you would like to know anything further or would like Rob to make any recommendations. The effectiveness of tooth whitening depends on how well the instructions are followed and the type and intensity of staining; darker stains have less predictable results. Stain type also affects the speed at which the bleaching occurs. In age darkened teeth for instance, a noticeable change may occur in just a few days, whereas yellow brown stains typically seem to take two to four weeks. The whitening lasts for varying lengths of time, depending on the patient, but usually between one and three years. The shades can be monitored during checkups to determine when retreatement is necessary. Touch up treatment is usually brief. The original tray should be kept and can be reused. How to bleach your teeth. Rob will take an impression and make a tray, in a similar way to making a sports mouth guard. A gel is squeezed into the tray which is worn overnight, or for two to four hours daily in one or two sessions. Individual teeth can be bleached, by having a modified tray made. The amount of whitening is time related. It is advised to use a flouride toothpaste when bleaching your teeth to reduce transitive tooth sensitivity. If you would like to know more please ask at the surgery.